The Right Metric on Frequency Response? 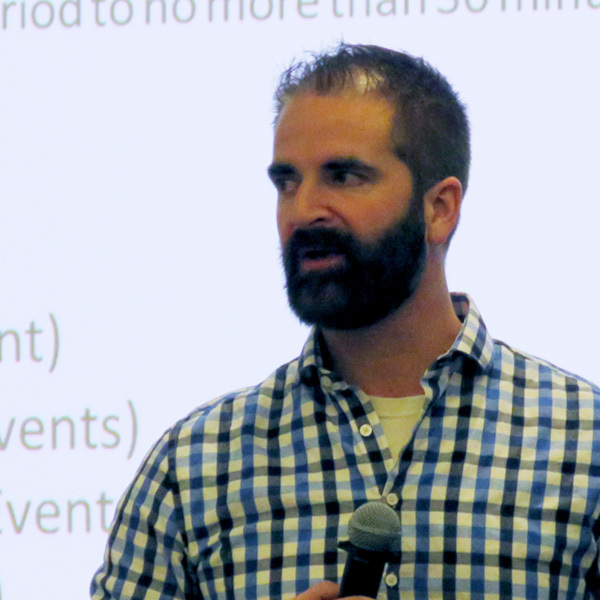 VALLEY FORGE, Pa. — During an Operating Committee presentation last Tuesday on changes to Manual 12, Carl Johnson of the PJM Public Power Coalition said he was “stunned” by reports of generators’ poor performance in providing primary frequency response (PFR). In October, PJM reported on an analysis of 454 generating units’ responses to 13 events between December 2017 and April 2018. It found that 36% failed to respond or responded in the wrong direction, while only 42% provided 75% or more of the response required. 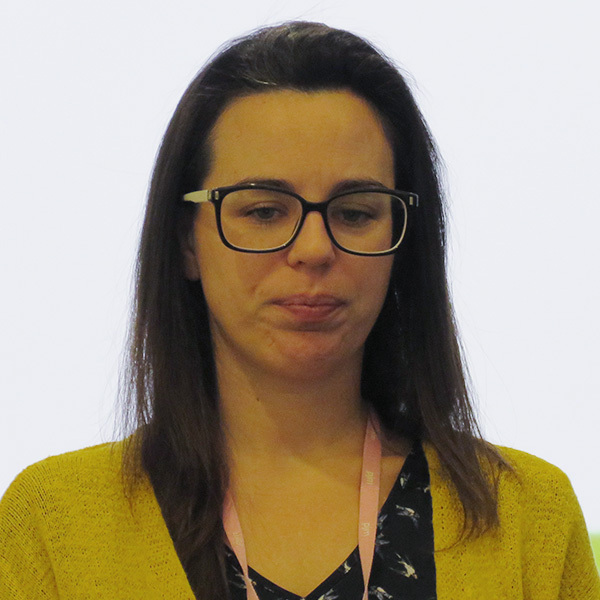 Johnson’s comments came as PJM’s Danielle Croop gave a first read of an updated Manual 12 that includes a new section to describe how the RTO will measure PFR and respond to poor performers. In 2012, NERC reported that only 30% of units online provide PFR — automatic adjustments that begin within seconds of detecting frequency variations — and only 10% of units online sustain it. FERC cited the data when it issued new PFR requirements in Order 842 last February. The task force was put on hiatus after stakeholders soundly rejected PJM proposals to enforce PFR requirements beyond those in Order 842. The order requires all newly interconnecting generation be capable of providing PFR. But the commission declined to order existing generators to retrofit their facilities to provide the service, saying it would be “prohibitively expensive” for some. (See FERC Finalizes Frequency Response Requirement.) PJM incorporated FERC’s requirement into its interconnection service agreements in October. With some generators already providing sufficient frequency response, stakeholders said it was unnecessary to force all units to spend money to install the equipment needed to provide the service. The manual changes detail calculations for high- and low-frequency events, explain when a resource will be evaluated for PFR and how the RTO will respond to resources that fail to perform. PJM will work with generation owners to identify whether the poor performance is because of telemetry, operating scenarios, generator hold points or malfunctioning governors. Brock Ondayko of American Electric Power noted that FERC’s order did not require scoring of PFR and said PJM had little stakeholder support for it. “To put forward parts of that concept [after the stakeholder rejection] is a bit interesting,” he said. The manual is scheduled to be brought to an OC endorsement vote at the Feb. 5 meeting. PJM reminded stakeholders that generating units unable to meet proxy parameters because of operating constraints must submit an adjustment request to unitspecifcpls@pjm.com by Feb. 28. Unit-specific parameters will be applied to all Capacity Performance, base and fixed resource requirement resources effective June 1, the beginning of delivery year 2019/20. Approved parameters remain in place unless PJM is notified of a change. Parameters approved and implemented in previous years do not have to be resubmitted. Parameters affected include turn down ratio, minimum and maximum down time, maximum daily and weekly starts. Adjustment requests will be evaluated by April 15. 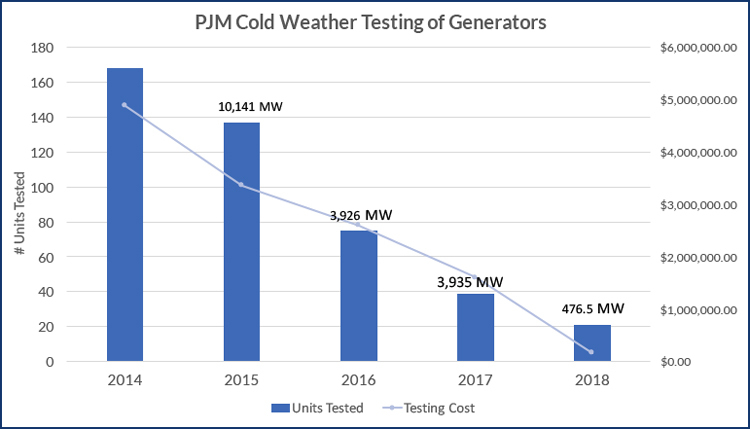 PJM will spend only $162,000 to test the winter capabilities of 21 generators totaling 477 MW in 2018. That’s a fraction of what it spent when it launched the program following the 2014 polar vortex, when up to 22% of the RTO’s generation was unable to operate. PJM spent $4.9 million to test 168 units representing 9,900 MW before winter 2015. Last year, it paid $1.6 million to test 39 units (3,935 MW). PJM’s Ray Lee said the decline is a reflection of the transition to CP resources, which are not eligible for testing. All capacity resources will be required to meet CP requirements beginning with delivery year 2020/21. Lee said it’s unclear whether PJM will continue the program for energy-only generators in the future. The OC held its first meeting last Tuesday on an initiative to develop fuel assurance requirements for black start units. Members approved a problem statement creating the initiative in July, noting that only 50% of black start units were able to demonstrate fuel assurance through dual-fuel capability, on-site fuel storage or multiple gas pipeline connections. Although fuel supply capabilities are among the criteria PJM uses in evaluating black start proposals, there is no fuel assurance requirement except that units have enough for 16 hours of run time. The opening session featured a series of educational presentations by PJM staff and Independent Market Monitor Joe Bowring. The OC will return to the issue following its regular meeting Feb. 5. A round-up of news from the PJM Operating Committee on Dec. 3, 2014. 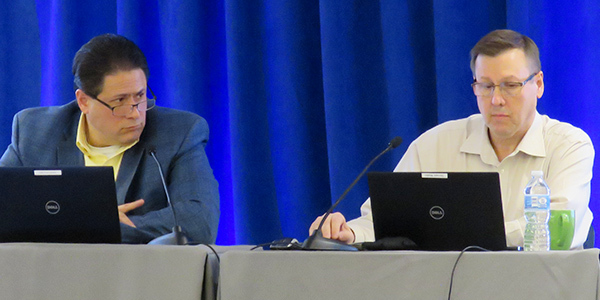 A round-up of news from the PJM Operating Committee (PJM OC) on Feb. 10, 2015. The PJM Operating Committee discussed cold-weather testing and the RTO's upcoming annual security drill.